Date & Time: December 12th, 2018 at 1445 Hours. 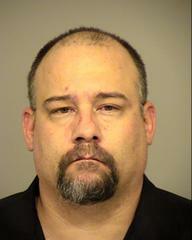 Unit(s) Responsible: Lockwood Deputies, Ojai Investigations Bureau and Fillmore Investigations Bureau. On 11/28/2018, a residential burglary was reported in the 16000 block of Curtis Trail in Lockwood Valley. Lockwood Deputies responded to the location and found that the single family residences had been entered by force and a substantial amount of jewelry and valuables taken. The interior of the house had been left in disarray as drawers had been removed and their contents dumped onto the floor. Deputies processed the scene for evidence. Through an extensive investigation, information was obtained that Christopher Ringgold and Robin Ellis were involved in the burglary and the subsequent disposal of stolen property. On November 29, 2018, Robin Ellis was contacted and found to be in possession of drugs and stolen property from the burglary on Curtis Trail. Ellis was arrested and booked into the Pre-Trial Detention Facility for possession of controlled substances, possession of stolen property and possession of drug paraphernalia. On December 12, 2018, investigators executed a search warrant in the 31000 block of Purple Sage Trail resulting in the seizure of drugs, a handgun and a large amount of stolen property, some of which was related to the burglary on Curtis Trail. Christopher Ringgold was arrested and booked into the Pre-Trial Detention Facility for burglary and being in possession of stolen property. The case is still open and under investigation and additional charges are possible. Anyone with information is asked to contact Det. Preciado at the Ojai Police Station at 805-646-1414.